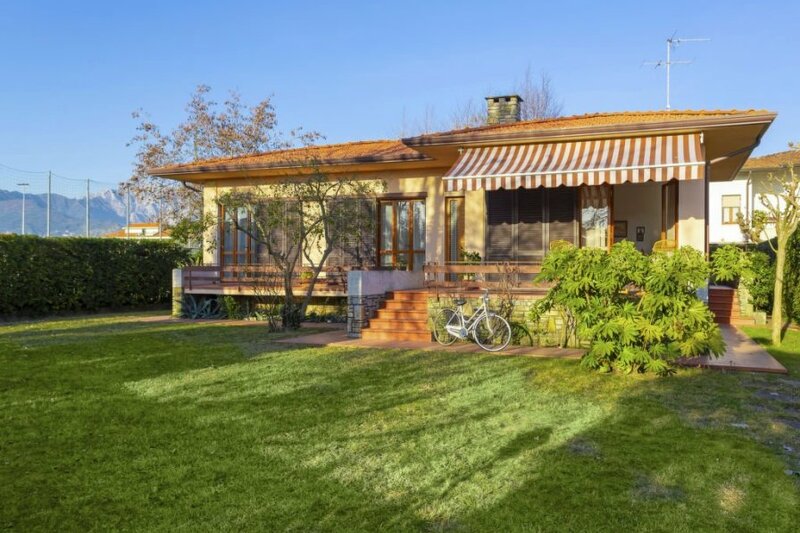 This 3 bedroom villa is located in Pietrasanta and sleeps 6 people. It has WiFi, a garden and barbeque facilities. The villa is near a beach. Reserved parking (2 cars) at the house..
Pietrasanta 4 km, Lucca 30 km, Pisa 38 km, Forte dei Marmi 4 km.. The agent describes this villa as an ideal holiday rental for the summer holidays. It is also good value for money. This villa is located in Pietrasanta. The nearest airport is only 48km away. It is set in a very convenient location, 1.2km away from a beach and only 1.5km away from the city center.